This race is in its 38th year and features downriver and sprint races for canoes, kayaks and SUP in a wide range of classes suitable for advanced to beginner paddlers. Registration can be completed on-line or at the race site in Old Mill Park. 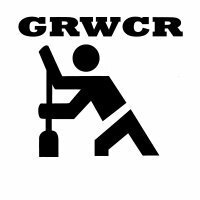 The 38th annual Great Rappahannock Whitewater Canoe Race (GRWCR) is designed to be both a competitive or relaxed event and is family and pet friendly. This classic Fredericksburg event always occurs on the first Saturday in June. The races are the cornerstone of the accompanying Rock the River Festival. For more information of registration and classes please see the American Canoe Association website.